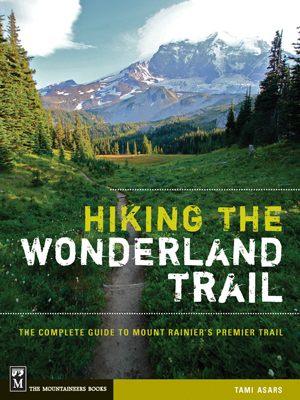 ← Last minute reservations for the Wonderland Trail should be delivered today! The park has received a bump of 115% reservations requests for the Wonderland Trail! Wilderness Permits & Reservations – April 1, 2014: As of this morning, we have received 1,950 applications for wilderness permits during the March 15-31 time-frame, which is about 115% above the usual amount of 800. With this phenomenal number of applications we will be able to successfully book only about 60% of these initial requests, especially for those seeking backpacking permits. I have processed wilderness reservations for 15 years here at Mt. Rainier and have never seen numbers like this. If we are not able to book your trip we will send you a letter notifying you of this. Processing begins April 1. The option to a reservation is a first-come, first served permit. Requests received in March, April and May could take up to six weeks to process because of the large number of applications. Each one is processed by hand with usually only 2 rangers assigned to this duty. It will be well into May before this initial batch of reservation requests are completed. This means you may not get a reply from the park for some weeks, depending on when your request is processed. As the season goes on and the initial pile of requests are whittled down, the park is able to process and reply to reservation requests in 1-2 days.